Rejuvenate, retreat and relieve your senses at Sanctuary Asia Spa, is designed with contemporary style and subtle touch of Balinese. Balinese massage was developed in the Indonesian province of Bali with influence from the traditional medicine system from India, China and Southest Asia. The techniques includes acupressure, skin rolling and flicking, firm and gentle stroking, percussion, and application of essential oils. As well as stone massage. The compination of manual therapy and aromatherapy not only help to relax but also loosen the facial restrictions, stimulate the lymphatle system and the flow of blood and qi. The Sanctuary Asia Spa is a true sanctuary where you can enjoy the tropical ASIA distintive evnvironment, while rejuvenate your body and soul with the sensual healing touch of aromatherapy massages and facial treatments. It creates a unique treatment concept that blends traditional cultural therapies with balanced philosophy of health and well-being.
" 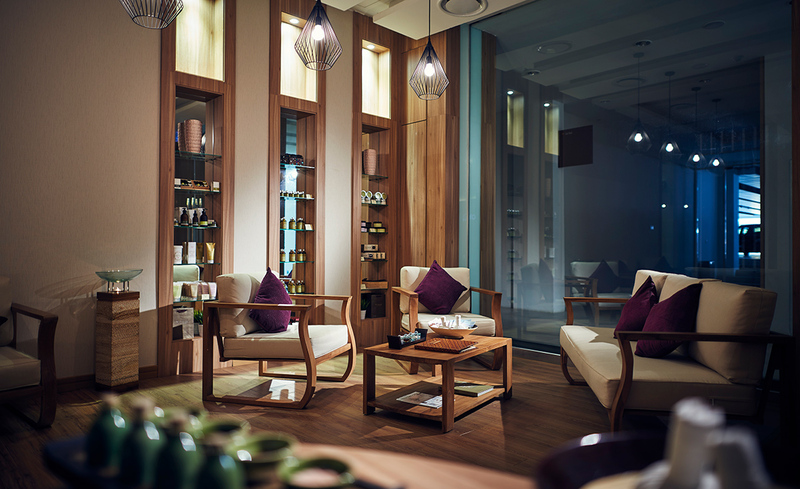 An Oasis of Spa-Cellence Discovery "